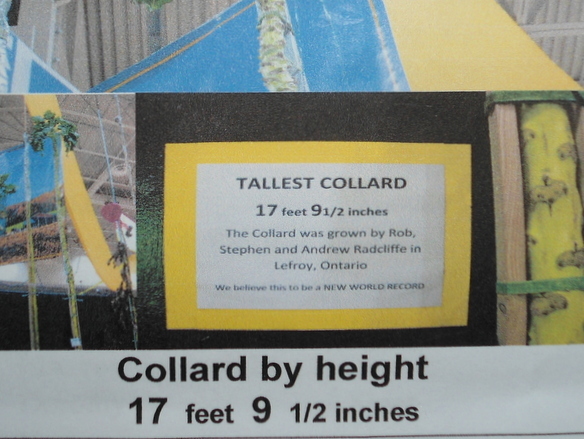 In 2011 we entered the competition for the Tallest Collard in the Royal Agricultural Winter Fair – if you want to know how we did you are going to have to continue reading this page. 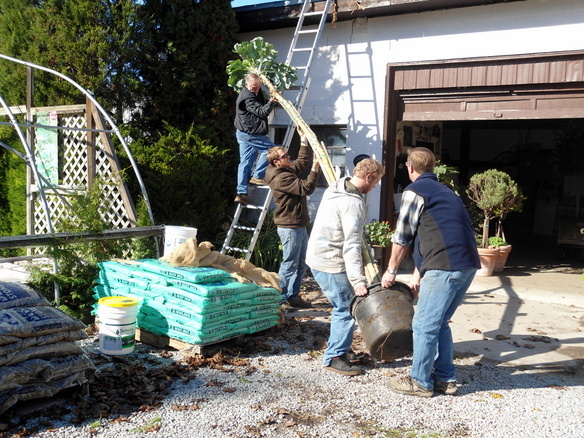 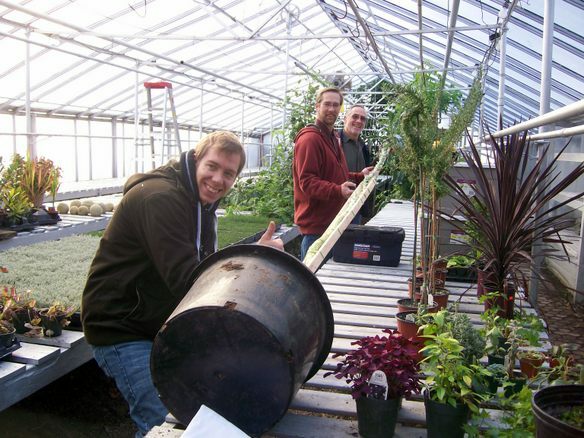 Here we are trying to get our kale out of the greenhouse. 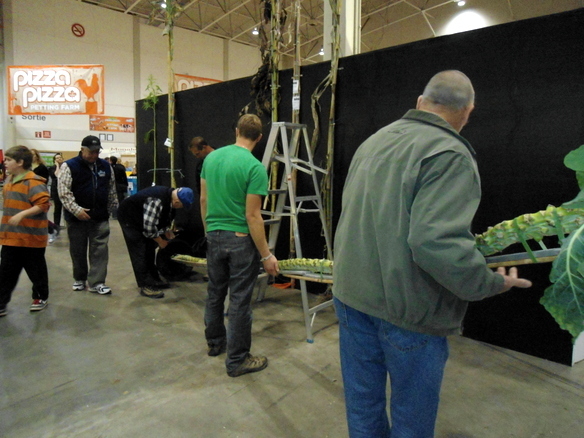 Andrew is leading the way, then Rob and Stephen. 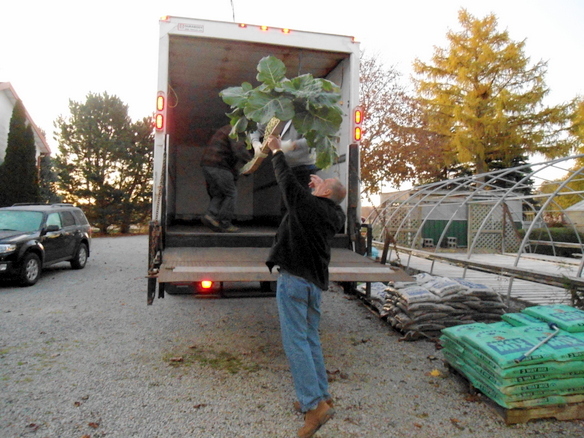 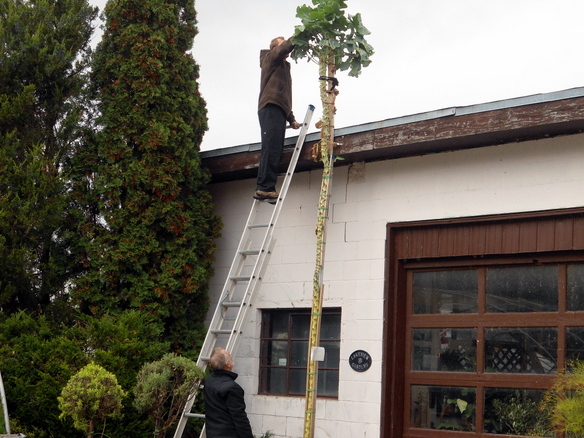 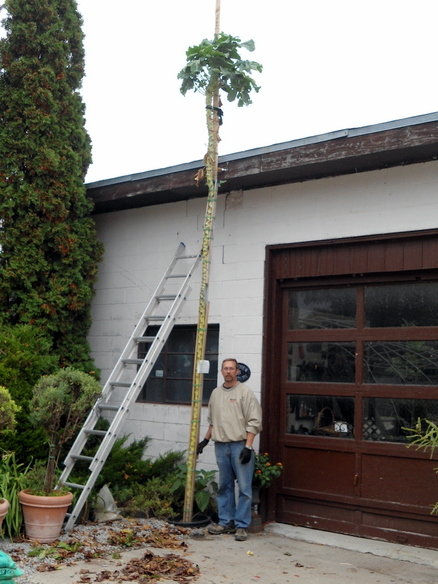 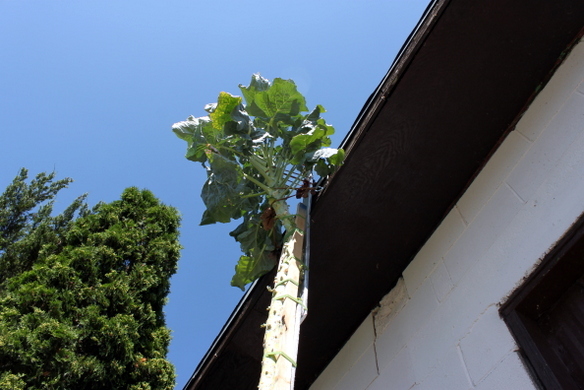 It is a pretty tall kale – see how Rob is measuring up to it and he is not a short fellow. 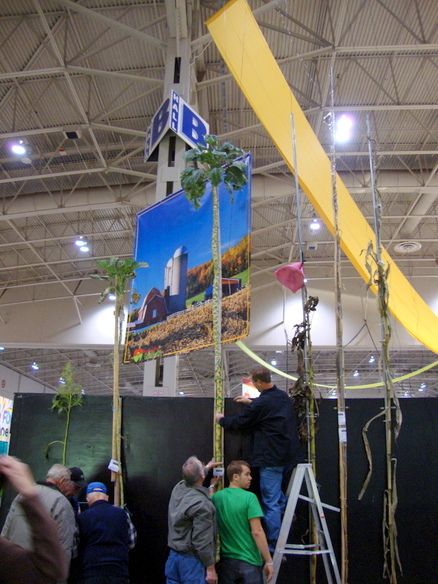 This is how we measured up at the Fair – our competitor’s kale is to the left of ours.